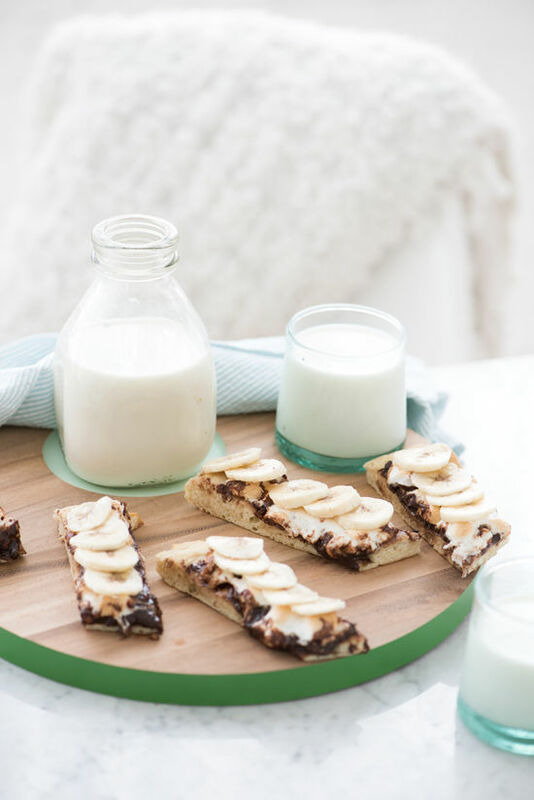 School is back in session now and with the all the added stresses that come with it, wouldn’t it be great to create a treat to surprise your little one on the first day of school? 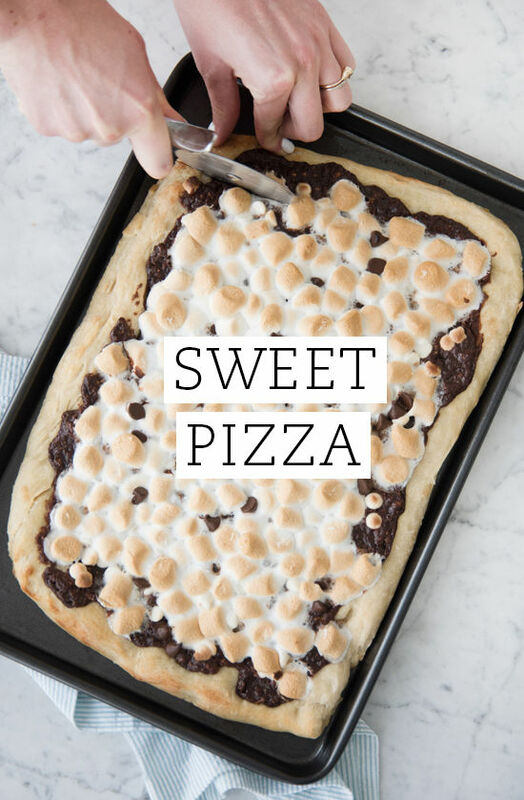 This sweet pizza recipe is special. 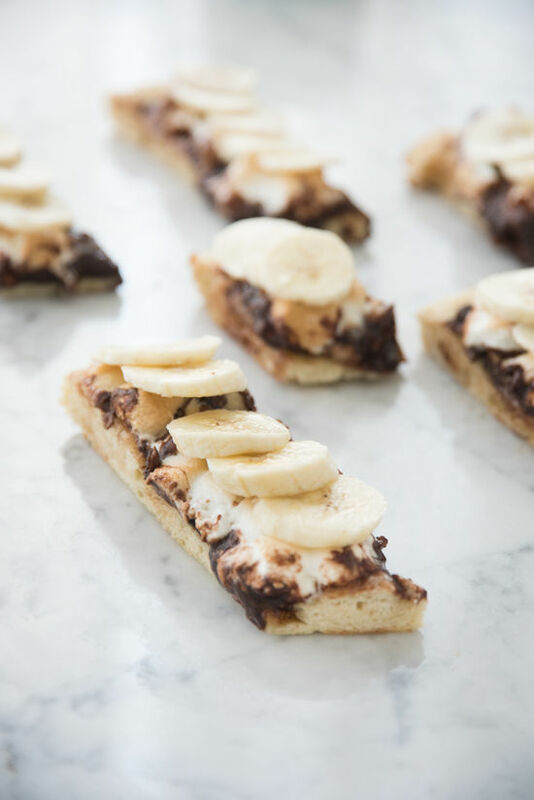 It’s a take on the classic s’mores we all grew up with but can be made in large batches to be enjoyed over and over or with all your friends for get togethers. 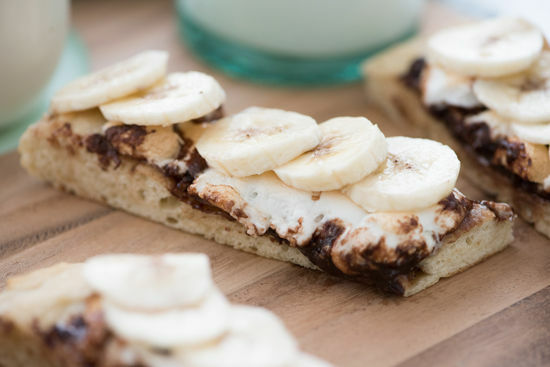 think of them as fireless s’mores! Preheat oven to 350 degrees (or if your oven runs a little too hot like ours, we went with 325 to get the same results). On a large baking sheet, spread out the two cups of hazelnuts. Toast in the oven for about 10-15 minutes or until they are lightly roasted. Once cooled rub the hazelnuts to loosen the skins to set them aside. We used a high powered blender for the next step but a food processor will also do the trick. Blend the roasted hazelnuts with 1/4 cup sugar until a course powder forms. On a microwave safe bowl melt 11 oz of semi sweet chocolate chips. To be safe heat every 30 seconds in the microwave until melted, checking and mixing the chocolate as it melts. 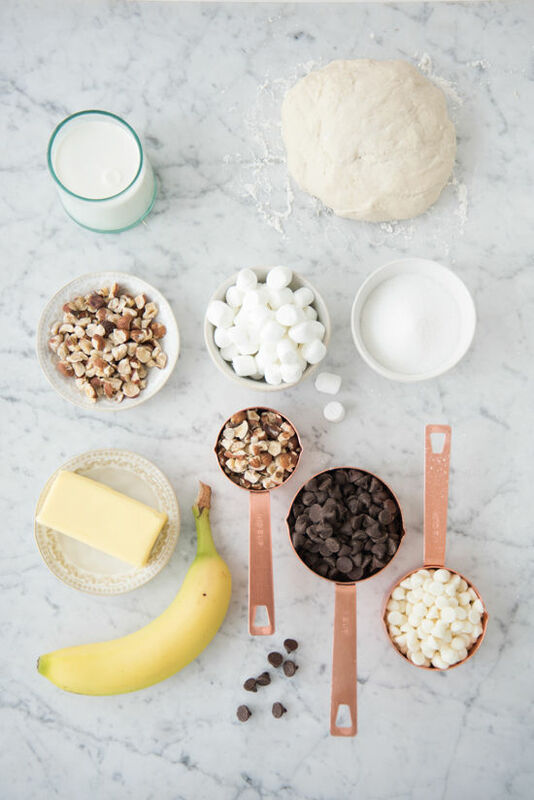 Add the hazelnut powder and 1 cup heavy cream to the melted chocolate and mix well. In a large greased baking sheet. Spread the 16 oz package of raw pizza dough. 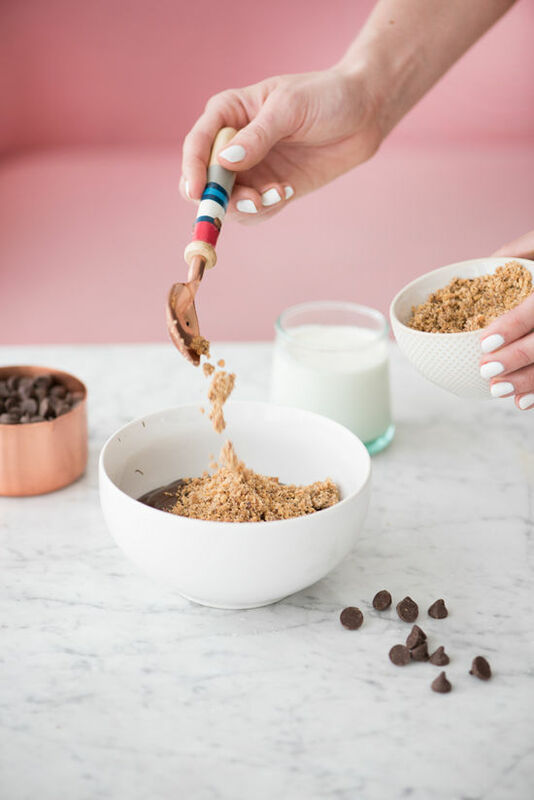 (we get ours from Trader Joes, it’s convenient and very versatile when it comes to creating new meals) Lightly brush butter over the dough and heat in the oven at 450 for 10 minutes or until a slightly golden brown color is beginning to develop. 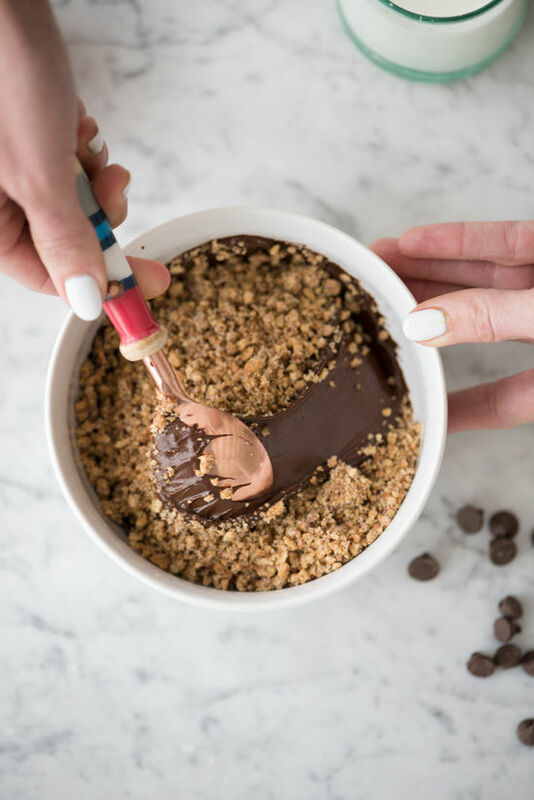 Remove from the oven and begin to spread the chocolate hazelnut spread. 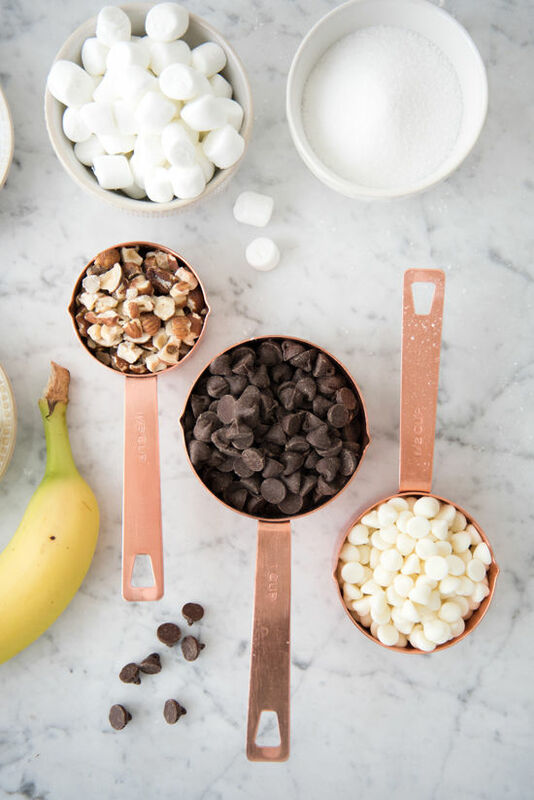 Add a layer of mini marshmallows and scattered semi sweet chocolate chips and white chocolate chips. Heat in the oven at the same temperature for 2-3 minutes. 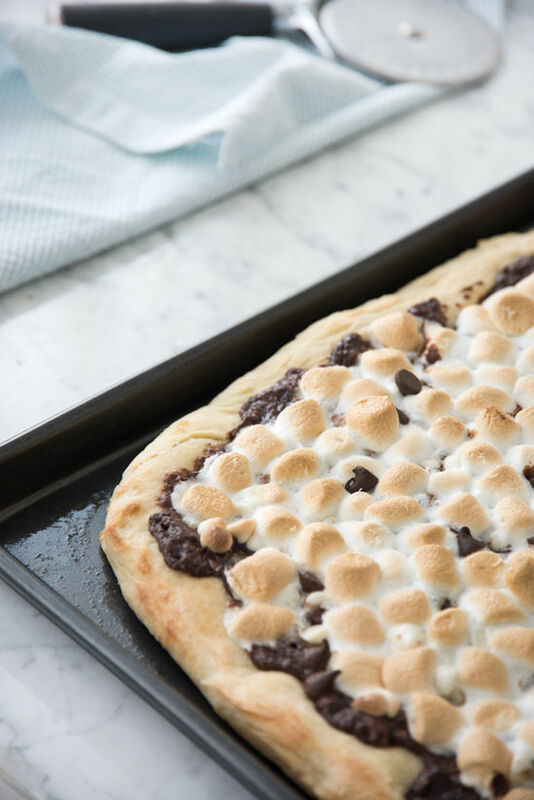 We checked on our sweet pizza constantly to assure we had just the right amount of toasting on our marshmallows. Set aside to slightly cool. 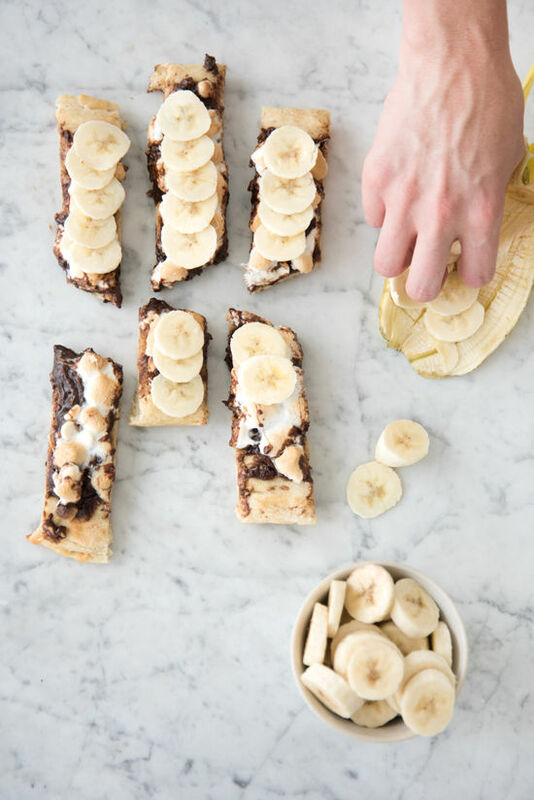 Cut into individual portions and enjoy with bananas slices over the marshmallows. 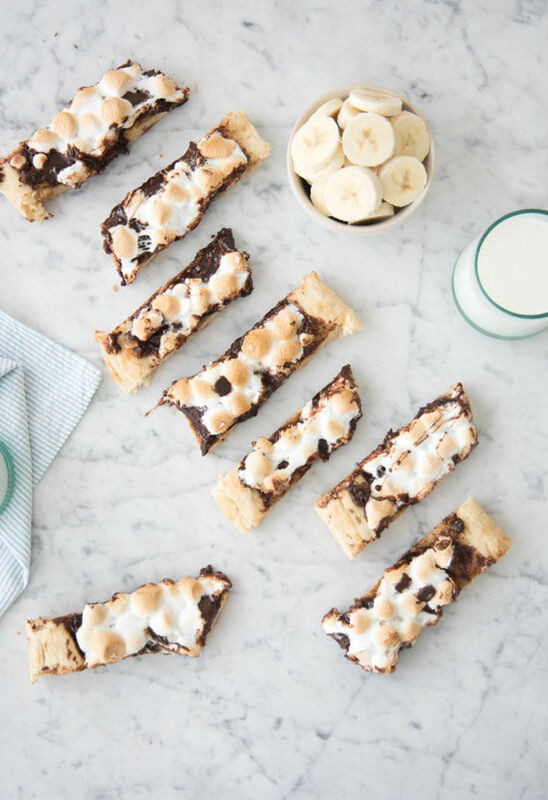 Let us know what kind of treats you enjoyed as a kid! Enjoy! What is this magic. Oh my goodness. I never thought this was something I needed in my life, but now you’ve made me realise that it most certainly is. This is basically heaven in food form. It looks delicious!! Andddd obviously your photography skills are like bomb. this looks so good! I had to laugh though, when you put in parentheses after butter, “(for greasing your pan and dough).” Just makes it sound like you’re so apologetic about the bitter existing in this recipe. Don’t apologize. EMBRACE THE BUTTER. Gosh this looks so good. 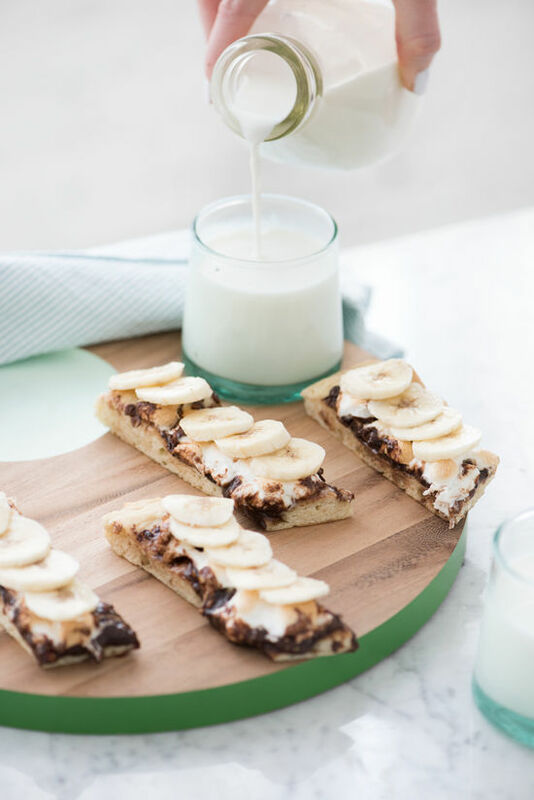 I’m totally trying this but with strawberries instead of bananas! I am all for treats here and there, but with your very visible agenda of getting fit and strong – which I LOVE – this seems like a big, unhealthy departure. Especially to make for children when they get home from school? This “snack” is not nourishing or fueling at all.